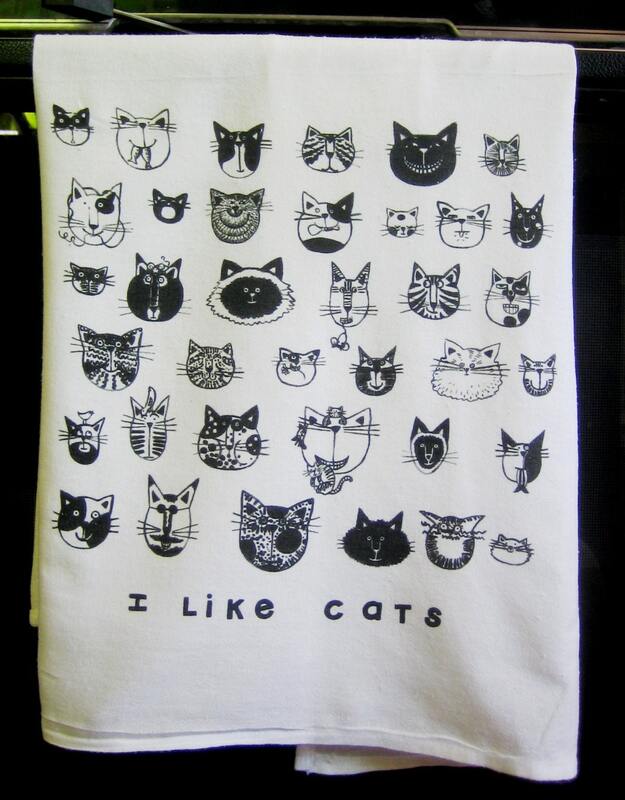 Cats of all kinds to cheer up your kitchen. 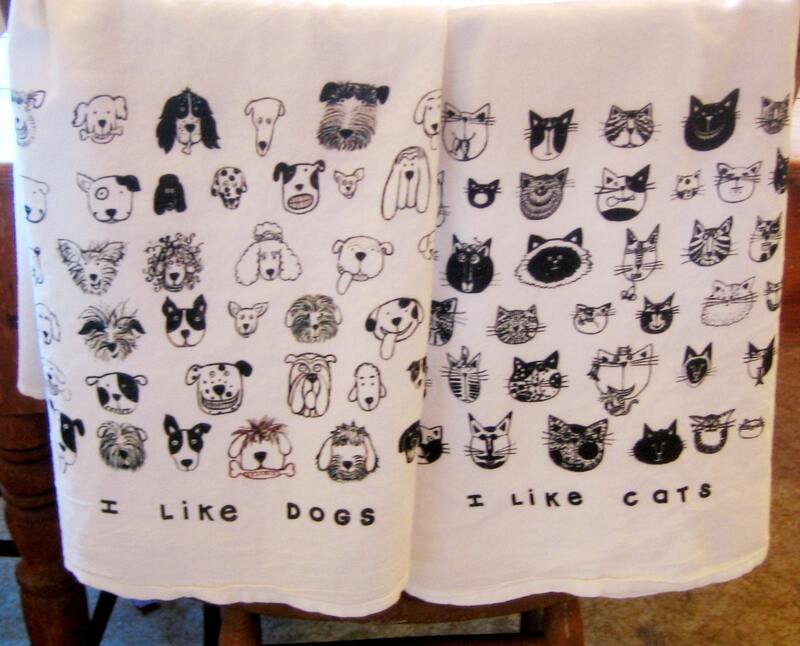 Pair up I Like Cats towel with I Like Dogs towel for extra fun. 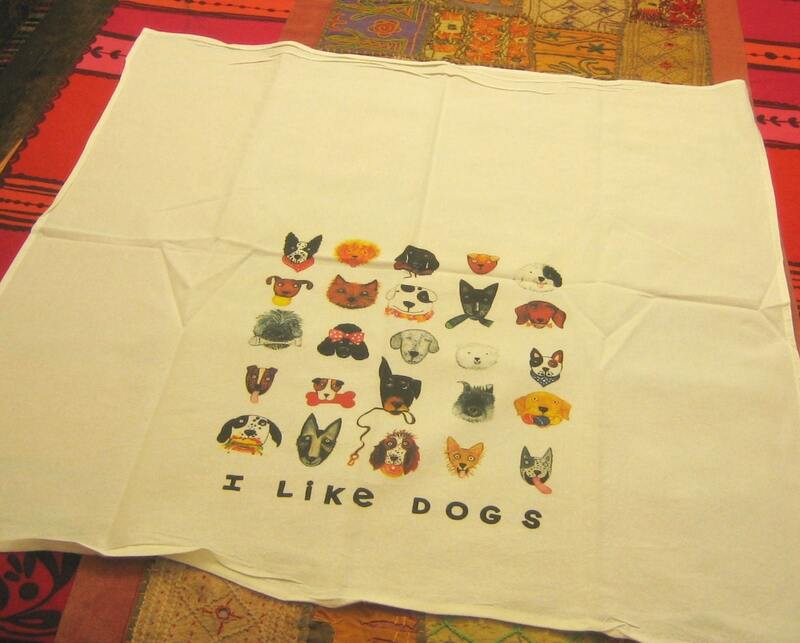 Nice quality, white, 100% cotton towel is appx 30X30, design is appx 11 X 11 on bottom edge, center. 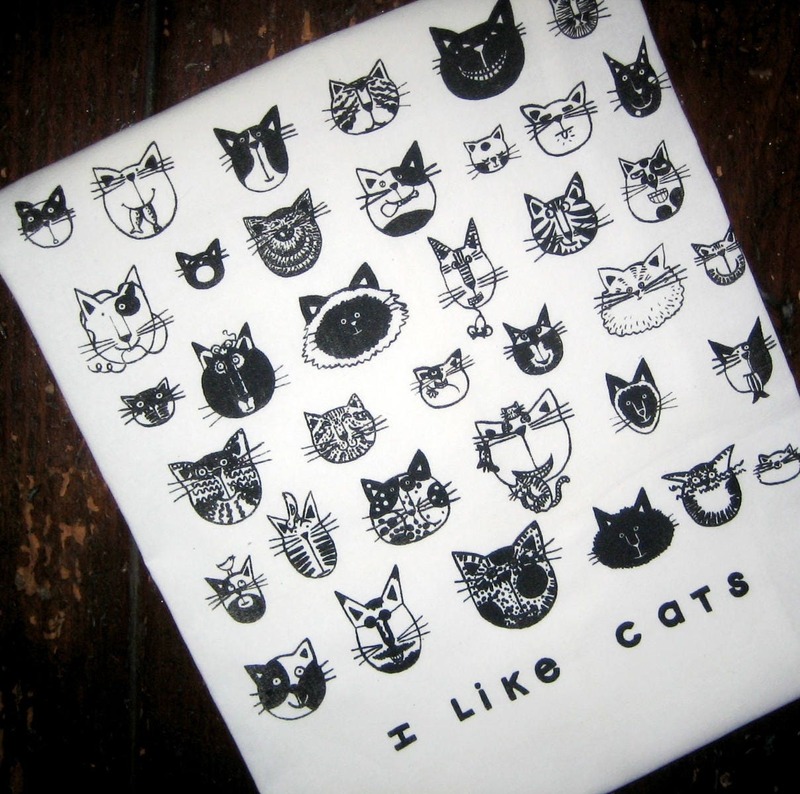 Design is a picture on the towel and not an overall print. The towel is meant to be used, so it is large, and the design is meant to be shown when towel is folded over oven handle or on a towel rack.